rpar86 and 1 Guest are viewing this topic. 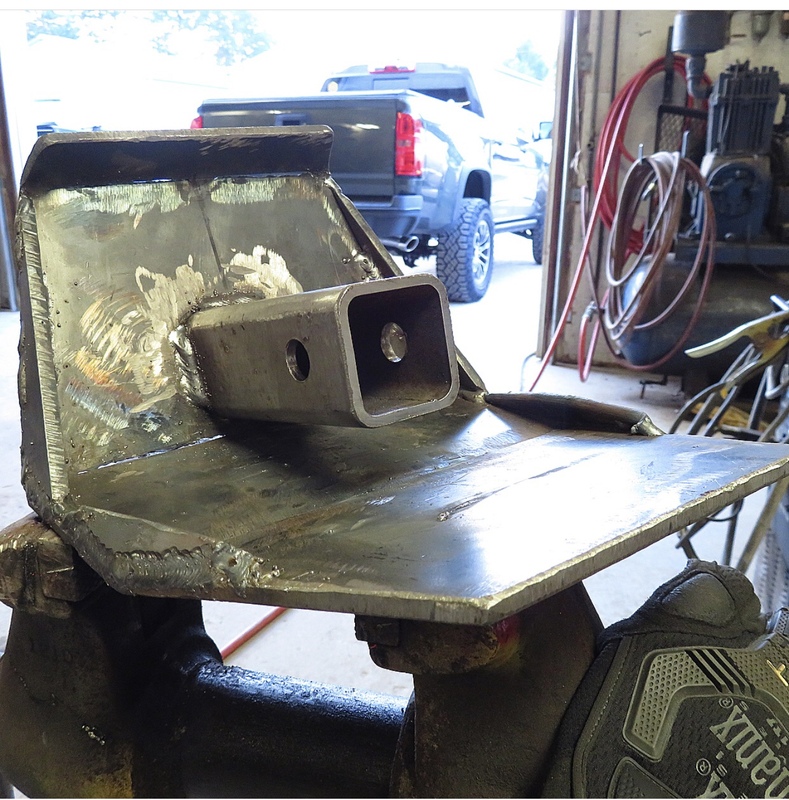 Next I made a reinforcing plate for the bumper wings. Basically I am making more of a "C" channel out of the setup Brian came up with. 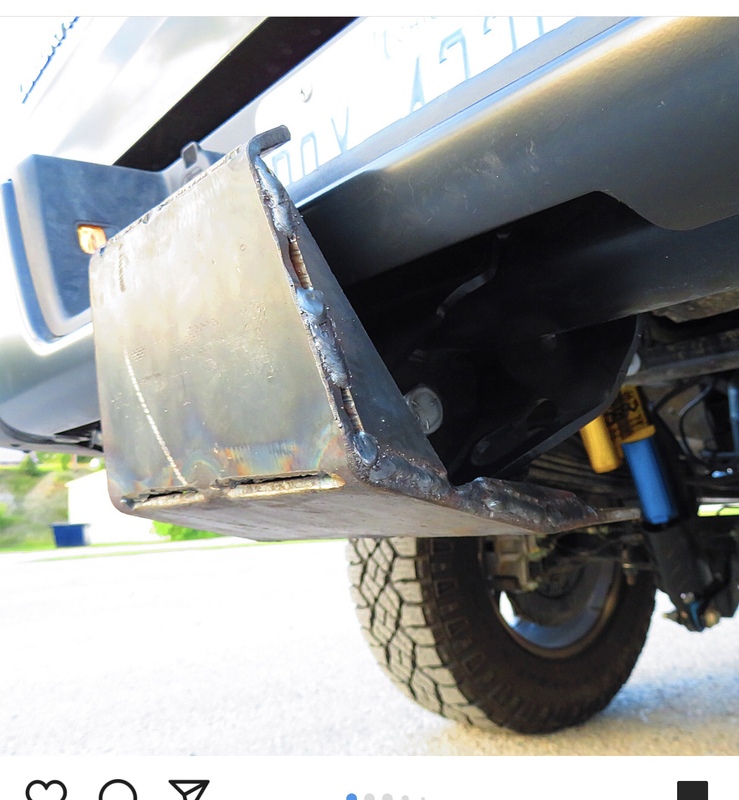 Next I loosely installed the winch to the mounting plate Brian had made up and slid that onto the four studs welded to the bumper. Looking at it I removed the allen head screws on the clutch handle end and rotated it 90 degrees, then tightened that down. After all the stuff I had to go through on the rear bumper, to find out my winch bumper cannot mount a winch is not good news. So I guess I'll just redo things myself again. This time, I'll just send the da__ed thing in and have it coated and get it bolted up to the frame. Then I guess I'll take some of the time I was saving by not having to build the bumpers myself and fabricate up some sort of a cradle to hang the winch in the space just below the radiator and create some way of guiding the rope through the hole so that it doesn't get destroyed, or maybe I'll just go buy the ARB bumper I was going to buy in the beginning. Install F bumper when it is Line-X complete...Thursday??? Load with kids and hit the road!!!!!!!!!!!!!!!!!! Why can’t you have the winch sit up like normal? Is it a air block issue? Trying to keep it hidden to maintain a low profile? Shrinkage issue during the build caused the up top winch spot to be too small, so he cut and modified and moved, hoping it would all fit. Check out post 15 in the suburban bumper build thread. Was an unaccounted for whoops. Is it possible to remote locate the winch control pack and would that help? I think door number two is the right approach. I think the bumper is well built, fits well for a non-winch bumper and is here. I'll use it and make the winch work, that's the decision. No actual work on the Burb today, but I did get the front bumper dropped off to have sprayed and dropped off the rest of the tires/wheels to be mounted. Today, my favorite lawn care hobby (Not) spreading mulch. 20 yards of the stuff plus 10 bags of pine bark nuggets around some of the conifers. 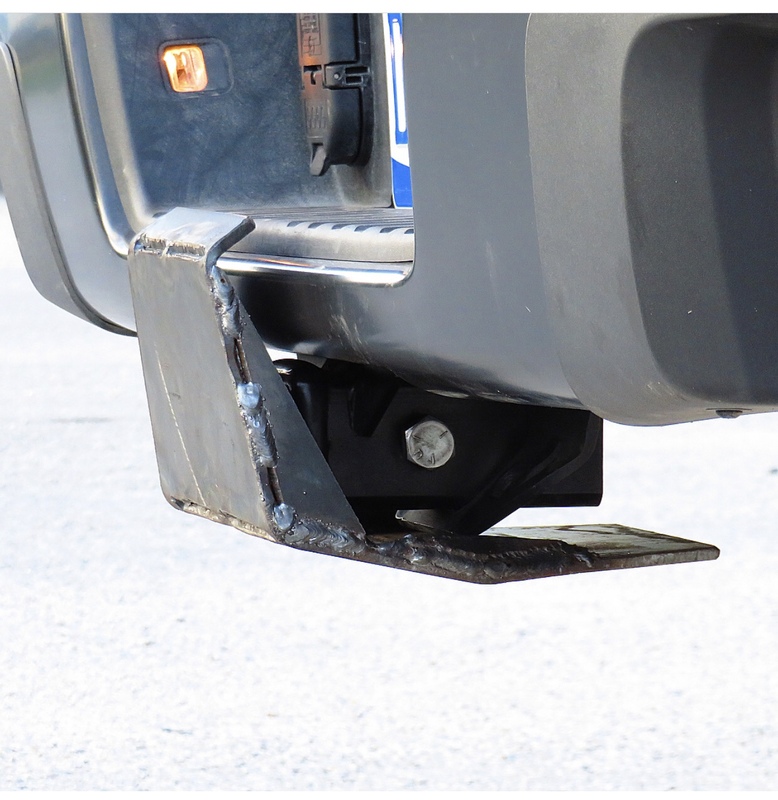 The Curt hitch came in along with the new mount for the cable plug. Looking at a 270 degree awning thing, really cool! You should see if you can cut that cable plug into that new bumper. Keep the low hanging fruit from being so low. The new rear hitch arrived late yesterday, so it was first up to get rid of the box. Notice how tightly it tucks up to the bumper. That is a ground clearance/departure angle improvement that I had not bargained for. So, except for mounting the vehicle tag, the rear bumper business is now complete. The front bumper is sprayed and will pick up tomorrow and maybe get that thing installed as well. I also Line-X'd the grill too! Not sure what that will look like, but it won't be shiny chrome anymore. I plan to remove everything that shines except for the pretty paint. Think I'll leave that just as it is! Ken is right. Did I just say that. The bumper looks good for sure. You’re gonna love the grill all line x’d up. Seen a few and like them. Surprised hitch wasn’t designed / built into rear bumper. What’s that added anchor supposed to do Dave? Oh wait, must be a Chevy thing I wouldn’t understand right? Rock slider if I had to guess.